Mobile website optimisation is all about making those who visit your site through mobile phones to have a better user experience for their device. As there is an increase in the number of internet users nowadays and the advancement in technology, there has been an increase in the number of internet users that use a mobile phone to surf than those using the desktop. As per a survey carried out in the US, comparing the percentage increase between 2016 and 2017, it was observed that it jumped from 57% to 63% in 2016 to 2017 respectively. This shows that a lot of people surf the web through mobile devices than desktop due to its efficient mobile optimisation. 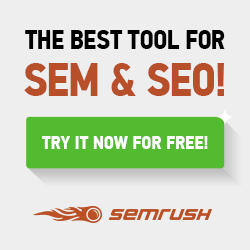 What is Mobile Website Optimisation? ‘Mobile Website Optimisation’ is a process or technique that deals with the efficiency of a website and the ability of a website to alienate to switch from one device to another or to recognise and process the compatibility of a device used in surfing a particular website. It must be able to recognise whether a user or surfer is using a mobile device to browse through the site or using a desktop computer. As we all know, the way web pages appear on mobile devices is quite different from how it appears on a desktop computer. The alienation is what brings about mobile website optimisation. Page speed – Page speed is very important for mobile phone user than a desktop user because of hardware and connectivity. For websites that are well optimised in mobile devices, the codes are minified and the browser cache is also leveraged. Site design – Since the advent of mobile phones and the increase in its usage to surf the net, websites developer design website page in such a way that it will be accessed effectively on mobile devices without losing any information from the site as it will be on desktop computers. Flash – Flash plugins are important or let says useful for certain websites like gaming website or 3d websites. But the bad news is that it is not well optimised for mobile users. Mobile site configuration – This is the most important decision to take when setting up a website. It uses a flexible design to adapt or switch to the appropriate screen size of the type of device used to surf a particular web page. It uses CSS3 media queries to give the same content and information on a web page to both mobile and the desktop user’s using a fluid grid. Responsive is preferred by Google but still support the three. Also, Responsive is a type of mobile site configuration for all because of how it alienates, serving even the tiniest screen size mobile phone to medium, large, tab and even desktop with the same information. This is like the opposite of “Responsive”. The mode or the way the web pages will be displayed will depend on the type of devices the users are surfing with. The solution is to use a URL to display different types of HTML or CSS, this is also called “detecting user agents”. To summarise this, Dynamic is about displaying web pages depending on the type of device the user is surfing with and this is done by using vary HTTP Header. Dynamic keeps a list of user agents that visit the site to know the type of orientation that suit the user. This is not totally efficient because every time a new user visits the website; the list needs to be updated. This is quite different from how the two types mentioned above optimise. This involves creating another or parallel website for mobile users. For example, a desktop version of Facebook is “web.facebook.com or Facebook.com” while mobile is “m.facebook.com” the initials or prefixes added to both sides is to distinguish between a mobile site and desktop site. When we talk about compatibility, the type of coding and formatting used should be well optimized for mobile users. Flash-based video and audio cannot play on the most modern mobile device. It is frustrating for an ad to be displayed while browsing, ad Pop-up can even be frustrating, on desktop, it will be a better option to design it to load faster or do without it or reduce to the nearest minimum for the sake of mobile user’s or it should be able to cancel at a click. Loading speed is also an important factor that needs to be taken into consideration, the hardware of a desktop user and RAM is far greater than that of a mobile user’s, a delay on a desktop can be multi-delay on mobile devices and this can discourage a user if the page loading speed is slow. Responsive sites are very important and useful when it comes to this. Your text should be visible to read rather than mobile device user’s zooming and scrolling from left to right to read the content. As said earlier, Responsive sites will determine the user agent is surfing the website and Optimise or scale the size of the page. If you want your Site to have images or video; maybe in passing instruction or for an advert, it must be mobile friendly. You should avoid using old coding methods because this can cause your image and video not to load at all on mobile devices. Also, you should ensure your video player is responsive. If you host a video on your site, the first thing to take into consideration is a responsive player size. The video must be able to show both on phone pixel (e.g. 320 px, 640 px) And desktop (e.g. 1920 px). On a desktop, the user relies on the mouse for manoeuvring the web pages, the buttons can be small and the drop-down menu as well. 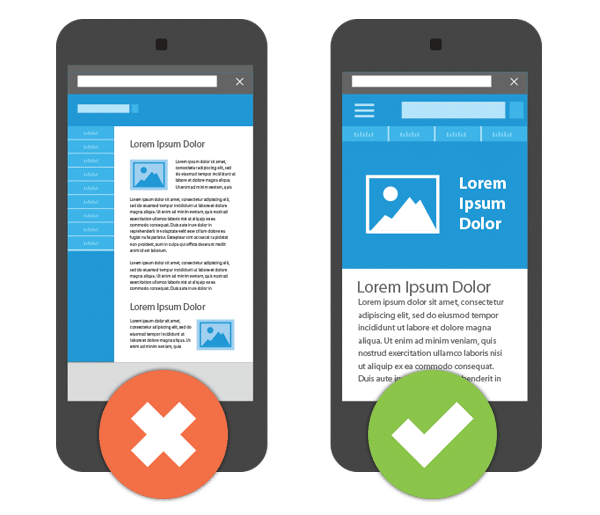 But this must be avoided in mobile, your layout should be designed in such a way that it will be easier for mobile phone users to click and drop down easily even by a user with big fingers. As we all know now that most mobile users are finger-based. You should avoid snubbing perceptive insight, Google has what we called “Mobile-friendly test”. This will help you to examine whether your website is Mobile friendly or not. If not, you will need to revisit its layouts and design. Mobile user’s account for more than 50% of traffics coming from surfing or using the internet at this present time, you need to avoid things that will hinder your website to be mobile friendly or, else you will lose traffic from a huge chunk of the audience. If you can keep to those mentions above, you are good to go. Mr Rick Klade is a serial blogger and an essay geek that specialises in writing essay and thesis for students and is also keen on sharing knowledge to bloggers on making a user-friendly blog.